Wow! This week has been a hard week on many fronts, and on weeks like this I am really reminded to be thankful that GOD IS IN CONTROL! With the election turnout, and the disappointment of not finding out what is going on with Sam, I am thanking God that He is truly in control of all we are going through. That He holds each of us in the palm of His hand, and that whether the turnout is good or bad, whether we win or lose, whether we get an answer to our problem or not God is still ruling and reigning. God is in charge and in Him we will be ok. I can't tell you that I don't get frustrated and worry for poor Sammy. I can't tell you that I am pleased with the turnout of the election, but I can tell you that God is still on His throne, and He still reigns over this earth. Trusting in Him will get us through. In other news, Sam spiked a temp to 104.3 today! Not sure why, no other symptom and it came on really quickly. I put him in the tub after giving him some motrin and the temp quickly came down to 102.7, and as of right now he doesn't seem to be warm at all. 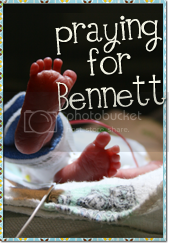 Please pray for him. 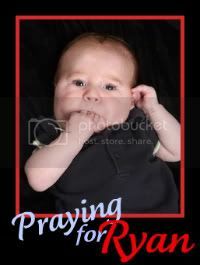 Please also pray for our cousin Nicholas who is 6 who is currently in the hospital. They are trying to determine what is wrong with him, they were thinking that he had appendicitis but now aren't so sure.